This Salthouse Garden Studio is part of our wider collection of Garden Studios & Offices. Like all of our garden buildings, our commitment to customer service means we include delivery and installation. The popularity of the Salthouse Studio marks a larger trend towards dedicated work spaces in the home. The full-length double glazed windows provide all the natural light you could need, as well as providing a great view of your garden whilst you work. This makes our Salthouse Studios ideal arts and crafts studios as well as home offices. The exterior was finished in our standard planed shiplap cladding, which was coated in Pebble Valtti paint. This was combined with a painted matchboard interior lining for added insulation. 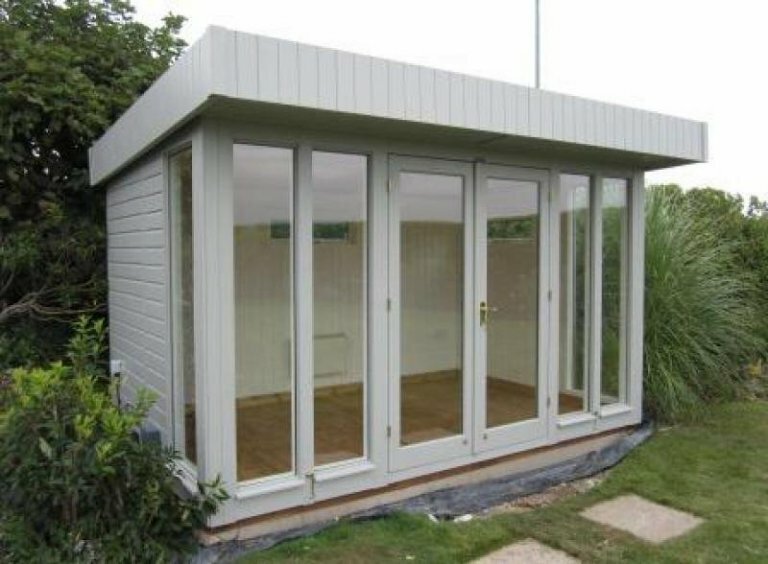 This means that our customer can use their garden studio all year round. 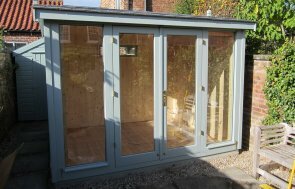 At Crane Garden Buildings our job is to draw on our years of experience in bespoke construction, and provide you with a high quality garden building that matches your needs perfectly. 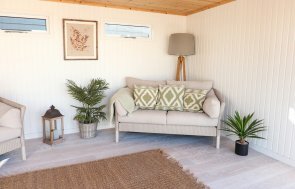 Find your ideal starting point by viewing our large collection of garden buildings - all of which are on display at our seven UK National Show Centres. Our friendly team are on hand to discuss the options available for your garden building. To get in touch, please Request a Callback, Contact Us or call us directly on 01760 444229.